Interviewing never seems to be fun for anyone. It is an intimidating process where your looks, personality, and choice of words are put under a microscope for examination. Think of it like a date but one that you can make a career off of! The 5 tips I will be covering are: How to Dress, Reviewing Commons Questions, Arriving Early, Body Language, and Thank Yous. Dressing appropriately is one of the most important tips I can stress. 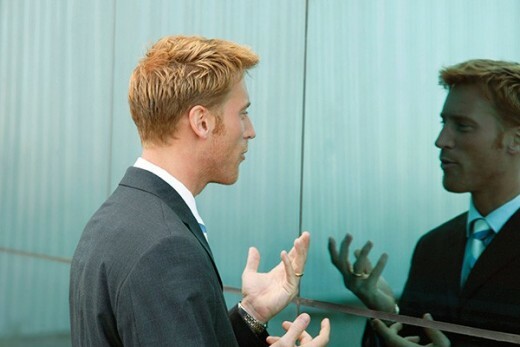 If you do not dress in a proper manner then it could unravel your whole interview. It is best to always dress in business professional attire. Some interviews you can get by with just business casual, but professional will always be the preferred choice. It shows you are putting the effort forward to dress your best for the interviewer and that you take this interview seriously. You should make sure your clothing is crisp without any wrinkles. If you have pets it is especially important to ensure that there is no pet hair on your outfit because that will automatically show sloppiness. A good idea is to purchase some lint rollers in case you do find any hair, that way you can easily remove it. Another idea is to keep one of the smaller lint rollers in your car just in case you notice any last minute hair or fuzz on your outfit. When it comes to your shoes you will want to check them for any scuff marks or dirt. If you do see some then clean it off to give your shoes a newer and more professional appearance. For the ladies, never wear fancy shoes with straps. You are not going on an actual date, you are trying to land a job. Keep your shoes professional and simple. Your hair should be clean and stray hairs under control by gel or hairspray. Try to keep your hairstyle simple for the interview, don't try to make it look fancy. Simple and professional is always better. The biggest "don'ts" when dressing for an interview is to wear any type of jean, t-shirt, plaid shirt, or capris. This may seem like common sense, but believe me, I have seen plenty of people make this mistake. Now that you are prepared to get dressed for your interview, it is time to talk about preparing yourself for the questioning process. Interviews are all about questions and how you decide to answer them. It may appear silly to some, but Googling common interview questions ahead of time will be very beneficial to your own interview. 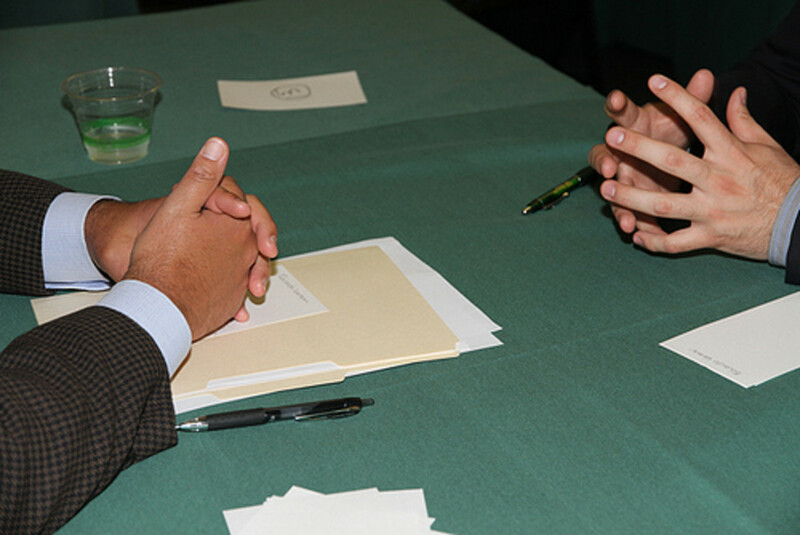 Many interviewers use several common questions that are easy for you to be prepared for. Looking up the questions ahead of time will allow you to ponder how you would like to answer without the spotlight shining down on you. The more you explore possible answers, the more confident you will be when those questions are actually asked in the interview. Some common questions I have frequently been asked are: Why would you like to work for this company? What do you feel your strengths are? What are your weaknesses? Where do you see yourself a year from now? Not all common questions will be in your interview! Don't get hung up on practicing for only specific questions. Yes, it is good to practice how you will respond to the common questions, but you also need to be able to learn how to form answers on the spot for questions you did not practice for. Try looking up different questions and then instantly start spitting out your answer without taking too long of a pause. It is all about building your confidence to respond with a good answer without pausing. Practicing will give you a boost in forming answers quickly. Side tip: Interviews tend to ask for answers to scenarios as well. An example would be, Tell me about a time you had to meet a deadline and how you went about doing it. So just be prepared for scenarios to be thrown at you and not just questions! You are professionally dressed and you have built up your confidence to answer questions with ease! Now it is time to head to your interview. It is very important to never be late. Being late will likely cost you the job before you even get into the interview room. It is recommended to arrive about 15 minutes early. It shows you have time management, are serious about the job, and if there is any paperwork to fill out you have time to do so before your scheduled interview. 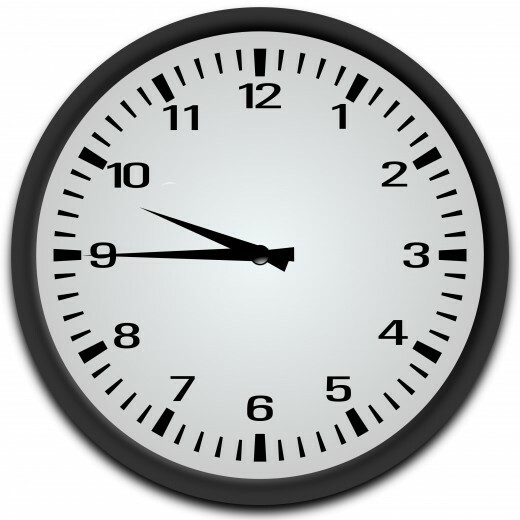 Arriving 15 minutes early does not mean that you would leave your house just early enough to have that 15 minutes. You never know how traffic will be or if something else will delay you. My personal opinion is to leave early enough that even if you get delayed it will not hurt you. I always leave myself an additional 15 minutes on top of the original 15 minutes just in case. I do that even when I am only going a few miles down the road. Just remember you never know what is going to happen! Even if you don't get delayed and end up arriving 30 minutes early that is fine. 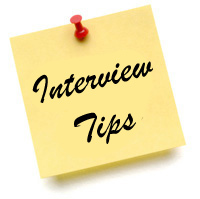 You should still wait to go in until about 15 minutes before your scheduled interview so you can practice answering questions in your car until then. Dressed, check! Practiced, check! Arrived early, check! Now it's time to shake the hand of your interviewer and enter the interview room. This can be a very nerve wracking situation but just remember to focus. Your body language tells a lot about you. When you are sitting, standing, shaking hands, and answering questions your interviewer will be paying attention to how you move and hold yourself. When shaking hands you should only extend your arm about halfway. Close the space between you and the other person. Make sure you have a firm handshake. It shows you are confident and not intimidated by them. While you are standing you will want to stand straight. Disperse your weight evenly on both feet, don't lean your weight on one side. Never cross your arms, it shows disrespect and disinterest. Sitting is sometimes difficult, especially if you are like me and you like to fidget. Fidgeting is bad in the world of interviews. You will want to sit up straight, place your hands on your lap, never lean on the armrest, and have both feet flat on the ground. It may be uncomfortable but it is necessary. Always smile and throw in some small nods when agreeing to something the interviewer is saying. It shows you are paying attention and not a robot. If there is a moment where the person interviewing you laughs it is appropriate to laugh with them. Just a small laugh, I would not recommend letting a loud laugh barrel out. No finger biting, or tapping. No gum chewing. No hair twirling. No slouching. No shaking your leg while sitting. 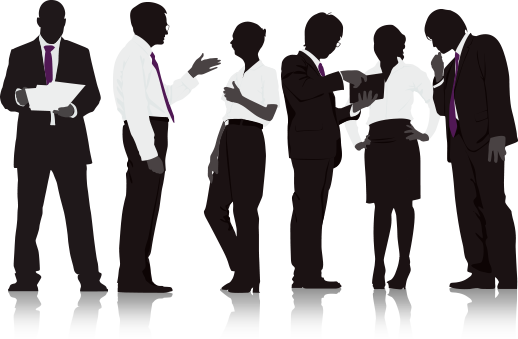 It is not always easy when you are nervous but try to keep your body language professional to get a good first impression. The interview is coming to a close which means you should always thank the interviewer for the opportunity. Always thank them! You survived the interview and made a good impression. Your answers were thoughtful and precise and you kept your fidgeting under control! It is time to go home and wait to hear back from the interviewer. Whether you thought your interview went great or totally bombed it doesn't matter. The next step is to get into contact with your interviewer through either email or snail mail to thank them again. This extra step is normally bypassed by many but it is an important step. Yes, you did just thank them at the end of the interview. 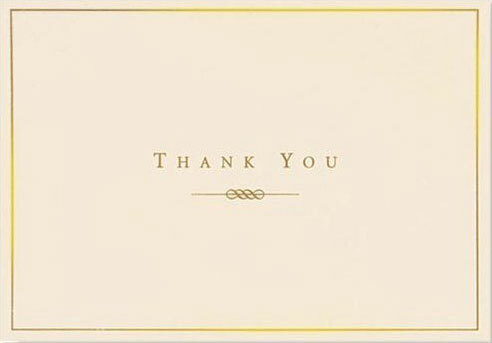 Sending another thank you afterwards shows that you are interested in the position and that you are thankful that they took time to meet with you. Being thankful and showing additional interest after the interview can give you a boost over other candidates. Keep the Thank You simple and short. If mailing an actual card make sure it is a professional design. This step can be beneficial to your success so always keep it in mind! I agree on reviewing common questions, but don't over rehearse.